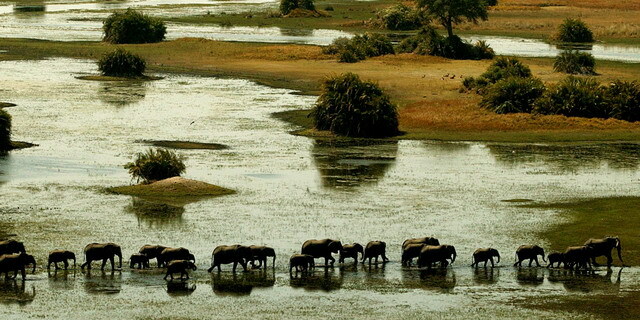 Helicopter safaris offer the ultimate aerial views of African landscapes and wildlife. 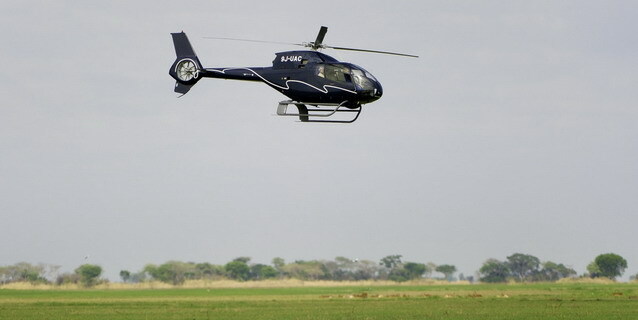 A helicopter's versatility and maneuverability make it particularly ideal for serious photographers striving to capture safari images with unique and compelling perspectives, but even non-photographers will appreciate the amount of ground that can be covered, and the volumes of wildlife seen in a relatively short period of time - 15 minutes in a helicopter is approximately equivalent in scope to a full morning game-drive. Helicopters can fly lower and slower than fixed winged aircraft. They can hover, change direction with consummate ease, and they have significantly larger windows providing panoramic views (and doors that can sometimes be removed). Helicopters are eminently more controllable than hot air balloons, more sophisticated than microlights, and altogether the ultimate aerial safari vehicle. 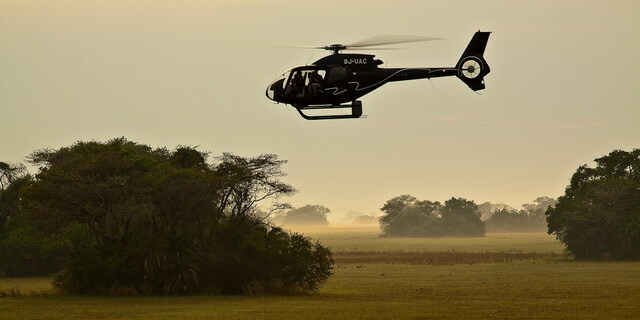 Helicopter safaris are most productive in southern Africa's grassland and wetland ecosystems, including the Okavango Delta and Busanga Plains.